Explore 8 different worlds that contain a total of 640 exciting puzzles and enjoy them in classic 2D or glorious 3D! Puzzles are laid out in random, allowing you to replay each layout many times as you want with the ability to attain new experience each time. Take advantage of an exciting scoring system! Enjoy great sound effects and relaxing music while you play. 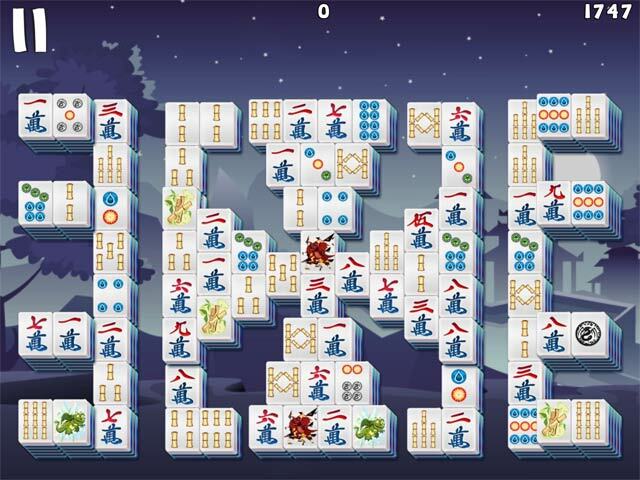 Suitable to players of all ages and experience levels, Mahjong Deluxe 3 offers a modern rendition of the popular Chinese classic, and is a must-have download to add to your collection! 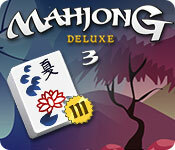 Mahjong Deluxe 3 is rated 2.5 out of 5 by 6. Rated 5 out of 5 by isis1313 from excellent game I skipped right to the 3d puzzles- LOVE THEM!! I don't care about the stars or time etc...I just love the challenge of flipping those wonderful images around. I played right until the end of the demo and probably only did about 20 puzzles...and there are lots of them. Rated 4 out of 5 by pennmom36 from Do You Have A Need For Speed? If you want to play a relaxing game of Mahjong, pass on this game because it's anything but relaxing! The object of this game is to make matches at lightning speed to earn three stars, which btw seems impossible. No matter how fast I was able to match tiles, most of the higher levels were impossible to earn more than 2 stars, but maybe I'm just too slow. There is a rapidly decreasing number (and I do mean rapidly) at the upper right of the screen, the slower you are to make a match, the less points you will score. If the counter reaches 0, you can continue to play but will earn no points for the match you eventually make. The counter resets after each match. There are regular 2D levels that have Beginner levels, Easy, Intermediate, Challenging, Difficult, and Super Sized puzzle levels. 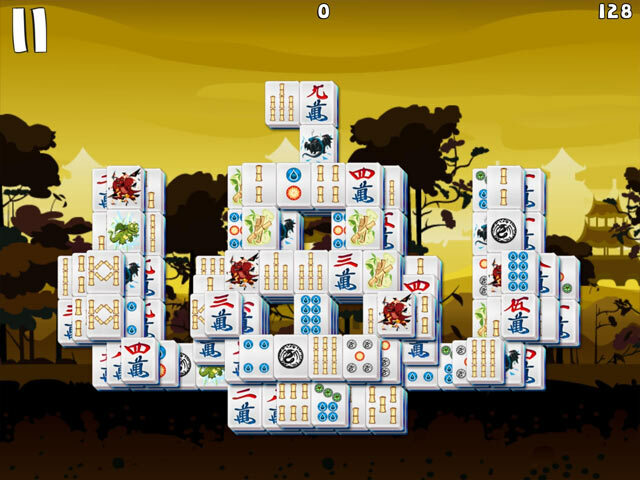 There is also a 3D Mahjong style available in Bonanza and Extravaganza where you need to click and drag, and even zoom in or out as you try to locate the matching tiles. All tiles are free in the 3D mode, but it's not as easy as it sounds, especially when you have to find matches quickly on a cube like grid. If you have a need for speed, you're going to love this game, but if you don't care about points, you can always take your time matching tiles and just get 0 points and 0 stars, enjoy! Rated 3 out of 5 by brimaz from It's Just Another Mahjong Game... It's the same as every other mahjong game - match pairs until you clear the board. There's no facility to have more than a single player (nowhere to enter your name, so anyone who plays on your computer plays your game). It's not for me. Rated 1 out of 5 by renep from mahjong deluxe 3 just not appealing. graphics look old school. not fun. Rated 1 out of 5 by GottaBeMe2 from No option for player profiles?? Mahjong Deluxe 3 is a major disappointment for me. While I could choose to play in 3D mode, I found the cartoon graphics annoying. 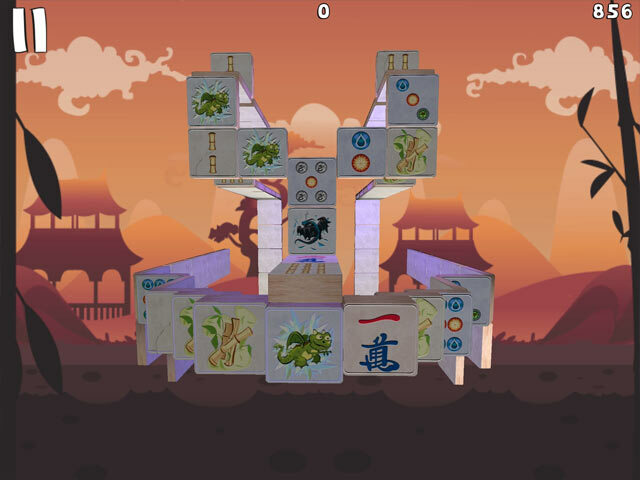 The backgrounds looked like they were drawn by a child and the mahjong tiles looked nothing like real tiles. It seems the developer could have given players the feeling they were playing with real mahjong tiles but just didn't want to bother. Most odd was the fact that you can't create any player profiles. You just start playing. If another family member wants to create a profile so they can play as well, there's no option to do so. I can't believe only one of the other reviewers noticed this. If you're the only person who's going to play this game, and as long as you like cartoon graphics and monotonous music, you'll be good to go. Rated 1 out of 5 by sallyakasissie from Annoying I love Mahjong games, but this one is the only one I've found where there is no "Options" key to turn off the music and game noises, or to play in a relaxed mode with no timer. I played 3 minutes, and exited.